The Kawai F-301 Pedal Unit is designed to fit the ES8 digital piano. The unit consists of damper, soft and sostenuto pedals to give your playing the full grand piano experience. 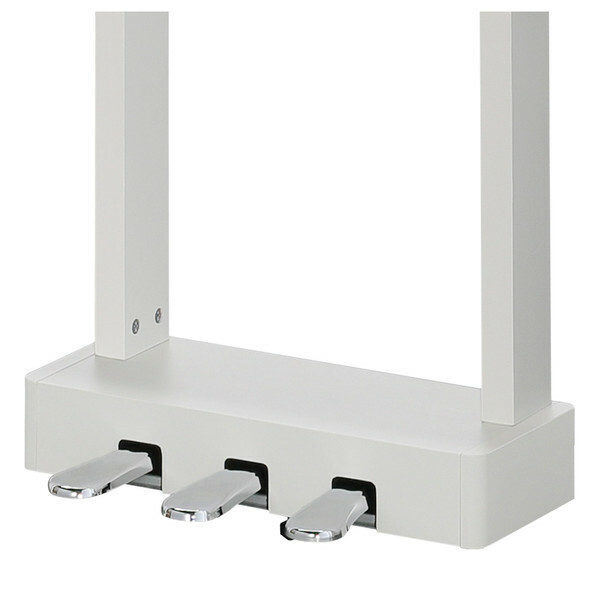 The F-301 attaches to the ES8 from the back panel, which both looks smart and is a secure fitting. The pedals replicate the action and weight of a Kawai EX Concert Grand for a more authentic likeness to an acoustic piano. 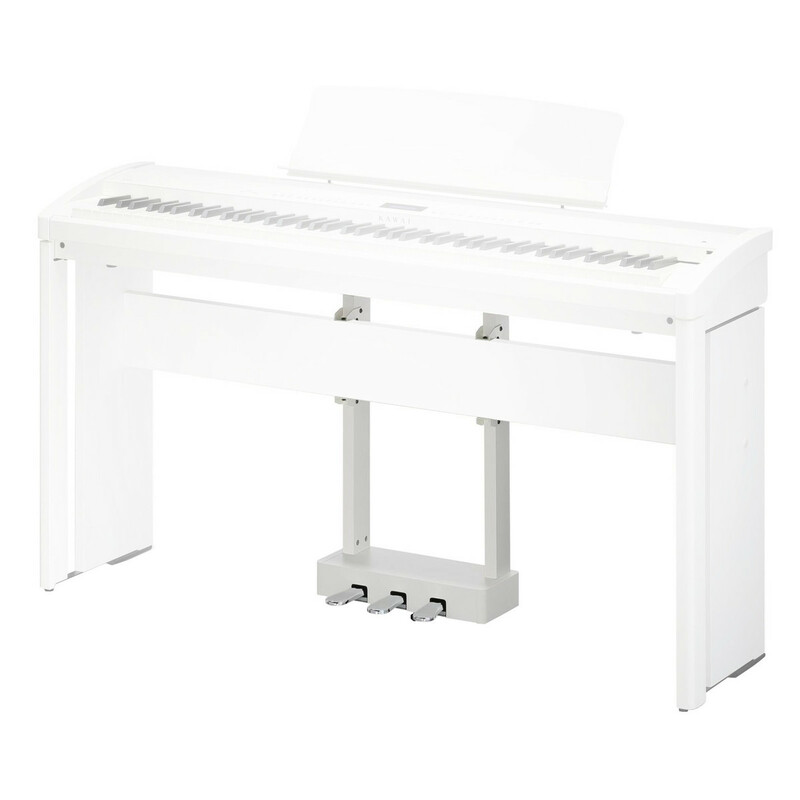 The classic looking white finish is a matching aesthetic to the ES-8 digital piano and HM4-W stand.